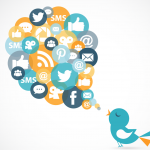 These days people are more likely to engage in online conversations than ever before. This has become so popular and vital that it turned into a part of life. Are you chatting with your friends and families online? Or are you talking to a customer on your website? Then I guess you must be familiar with common social network apps nowadays such as Facebook, specifically Messenger. Such app allows you to chat online with people using your mobile phone. So what about doing this on websites? Have you ever thought about how those chat boxes you often see or even use daily on the internet are formed? This is only one functions among other factors making Magento 2 Live Chat Extension a truly magnificent tool for all users. There is no need to find email addresses or contact details to talk to whoever you want. 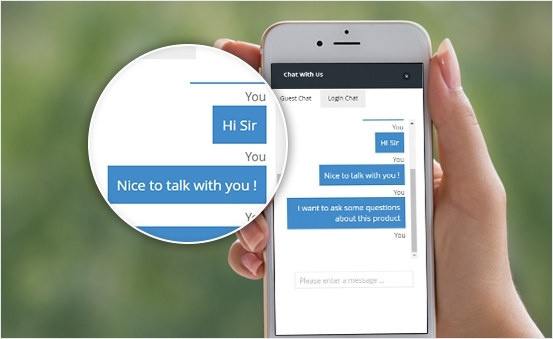 Live Chat Extension help you easily chat with customers in a direct and fast way in order to resolve any questions or doubts they might have about your products/services. To get a better view, let me walk you through some of the most incredible functions of Magento 2 Live Chat Extension to see why you should definitely put it into your list of must-have-items. Imagine waiting in long queues just to get information or receive some answers. It sounds exhausting, doesn’t it? What if your customers feel that way too? 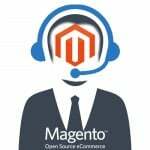 The answer is simple and plain – just use Magento 2 Live Chat Extension. By installing it, the store you own will surely become more user-friendly by saving your customer’s time and making them surprised with your immediate answers. It connects your customers directly to you whenever they have any inquiries concerning your products. 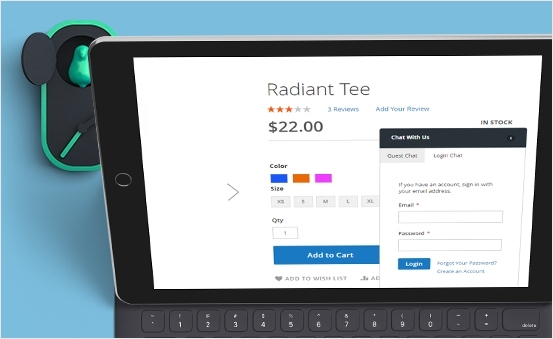 Instant and direct chat with customers can also improve the support quality and help your store have a good reputation. One great function of Live Chat Extension is that you can start the conversation with any customer right away if you want to. It is always fast and convenient. 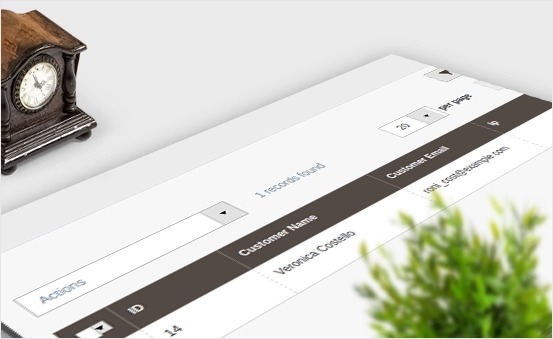 By registering with your account, logging in and then sending the message to your customer, you are ready to go! 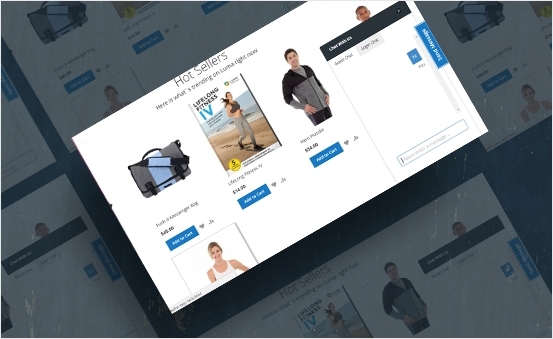 With only one simple click, you and your customers can already connect with each other on pages such as Product Information and so on. 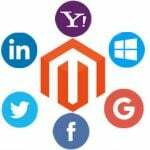 Magento 2 Live Chat Extension provide the available and instant chat box on any pages in your store – it will pop up in no time! This is why Live Chat is assured to satisfy all needs of your customers in order to bring out the best services for online transaction on your website. You wouldn’t want your customers to keep logging in over and over again because their information isn’t recorded in the system, would you? Worry not because just like any other great feature mentioned above, Live Chat Extension also helps you to maintain contacts with your customers and store their accurate information online by creating a login & registration box for either long-time or new customers and asking for their names, emails first – then the chat will begin. The system will archive their information and automatically form a login routine in the future. 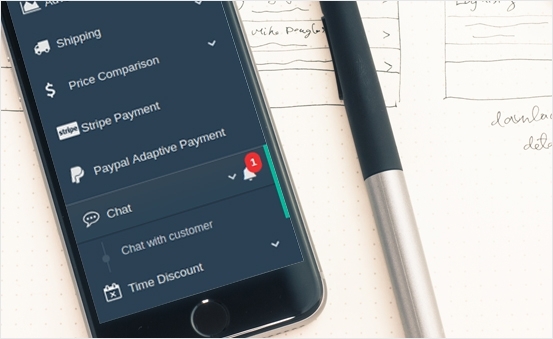 There is absolutely no trouble for you and your customers to notice the chat notification when the conversation start in the managing panel. You would not have to worry at all about missing any important chats or being disturbed when using Magento 2 Live Chat Extension. These functions will help you gain more satisfied customers as well as bring out better quality for the transaction. 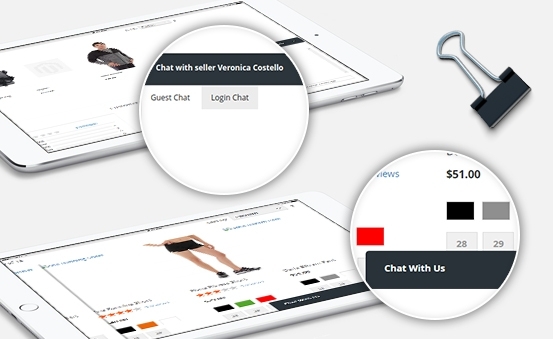 By using Magento 2 Live Chat Extension, the customers are able to leave their information when starting the chat, thus, creating benefits for you and your customers in order to keep in touch with each other if any occasions arise. 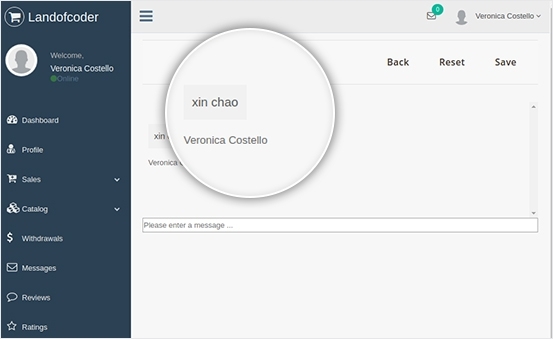 You can also control and keep track of your customer’s name, email, etc. by making use of the management panel. 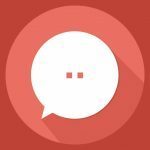 If you have used Messenger or Skype before, you must be familiar with the simple yet easy and user-friendly chat box with the main colors of blue and white. It is the same with Magento 2 Live Chat Extension. 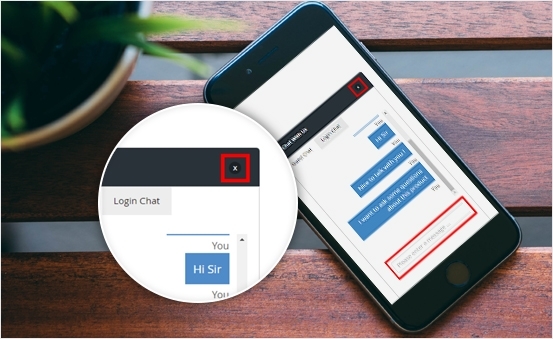 We bring to you the clearest chat box so that the customers can have the best experiences because it is obvious that the chat-box interface is extremely important in attracting customers to your store. The white background & blue text brings a sense of ease and relaxation so your customers will easily be attracted to the chat and feel comfortable when talking to you on your websites. Your customers may be busy sometimes or might not want to be occasionally interrupted by the conversation when working, this is when this convenience displays it wonderful function. 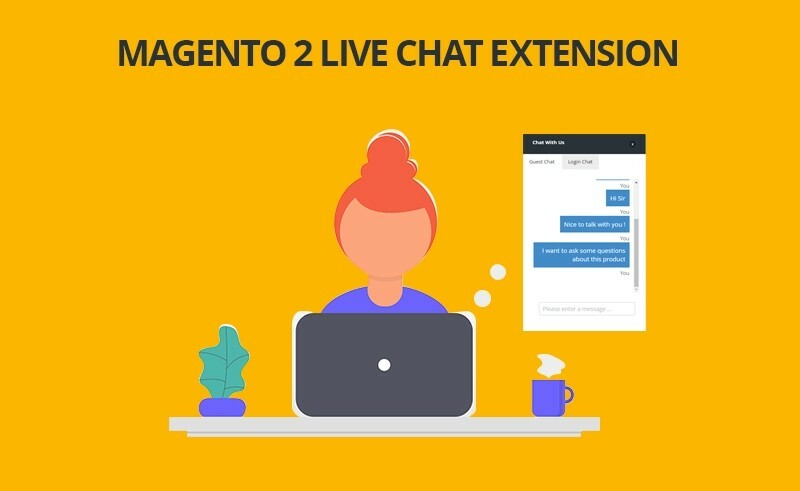 Magento 2 Live Chat Extension makes it totally flexible for you and your customers to join or end the chat when some sudden problems arise. There is no need to worry about missing any questions from your desired customers. You can purchase Live Chat at a very reasonable price of $89. The extension package includes free updates, full service, free support and it is guaranteed with 30 day-money-back.